Section 2. 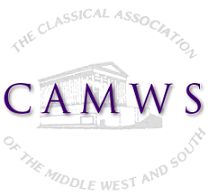 The purposes of the Association shall be to advance classical scholarship and teaching, to foster appreciation of the classical world, and to promote the common interests of its members through meetings, publications, and other appropriate activities. Said organization is organized exclusively for charitable, educational, and scientific purposes, including, for such purposes, the making of distributions to organizations that qualify as exempt organizations under section 501(c)(3) of the Internal Revenue Code, or corresponding section of any future federal tax code. Section 5. There shall be an Executive Committee consisting of the President; the President-Elect; the immediate Past President; the Secretary-Treasurer; the Editor of The Classical Journal; the Editor of Teaching Classical Languages; the Editor of the CAMWS Newsletter; the Chairs of the Steering Committee on Awards and Scholarships, the Committee for the Promotion of Latin, the Finance Committee, and the Membership Committee; and three elected Members-at-Large, who shall serve for renewable terms of three years each, one term expiring each year. The Executive Committee shall meet in conjunction with the Annual Meeting of the Association, except as provided under Article V.2. Election of Members-at-Large shall take place at the Annual Business Meeting. Section 1. The regular publications of the Association are The Classical Journal and Teaching Classical Languages.